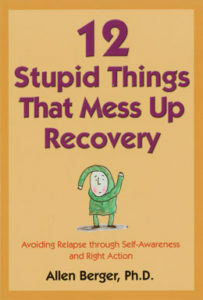 In simple, down-to-earth language, Allen Berger explores the twelve most commonly confronted beliefs and attitudes that can sabotage recovery. He then provides tools for working through these problems in daily life. This useful guide offers fresh perspectives on how the process of change begins with basic self-awareness and a commitment to working a daily program.